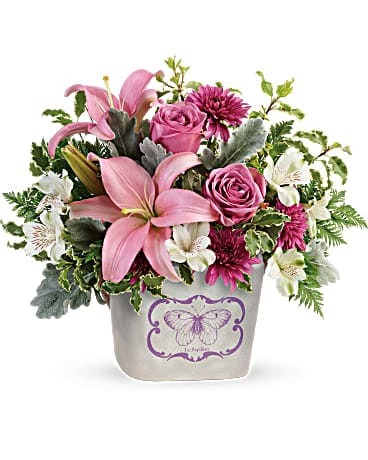 Want to send a really cool gift? 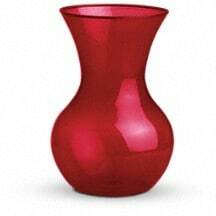 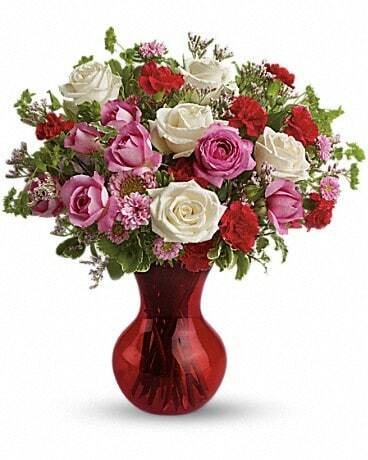 Send this red-hot contemporary vase filled with the season's happiest, hippest bouquet. 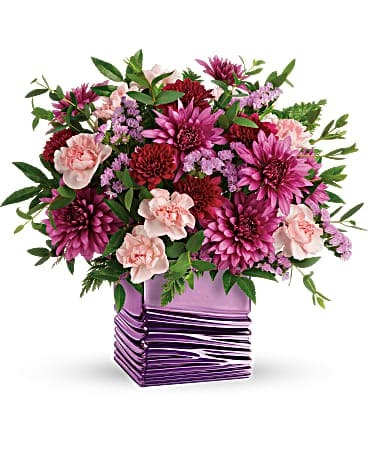 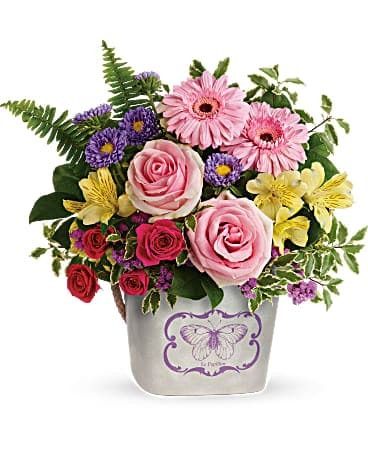 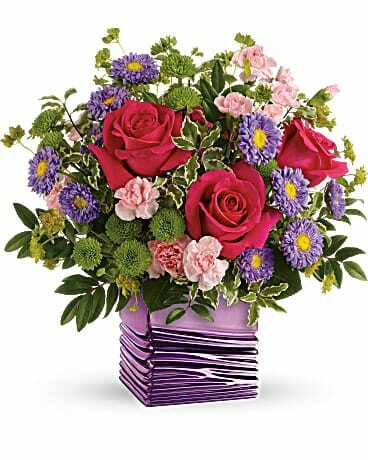 This exciting floral gift is perfect for a birthday, anniversary or any special day. 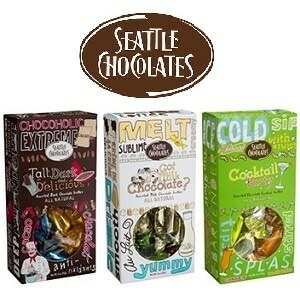 The price is pretty cool, too.